A task force appointed by Michigan’s governor said on Wednesday state officials showed stubbornness, lack of preparation, delay and inaction in failing to prevent a health crisis in the city of Flint caused by lead contamination in the drinking water. There were failures on all levels of government, including the U.S. Environmental Protection Agency, a report from the task force said. However, the report highlighted failures of state agencies, especially the Michigan Department of Environmental Quality (MDEQ), and said the state was "fundamentally accountable" for what happened. 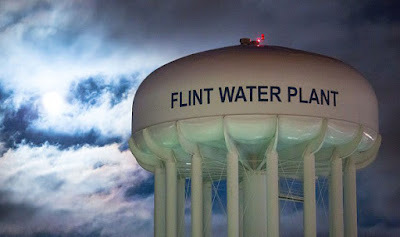 "It was a mixture of ignorance, incompetence and arrogance by many decision makers that created the toxic and tragic situation," Chris Kolb, task force co-chair and president of the Michigan Environmental Council, a coalition of non-profit groups, said at a press conference in Flint.